But Griffin had never met a woman named Sabine. How did she know him? How did she know his artwork? Who is she? Thus begins the strange and intriguing correspondence of Griffin and Sabine. And since each letter must be pulled from its own envelope, the reader has the delightful, forbidden sensation of reading someone else’s mail. 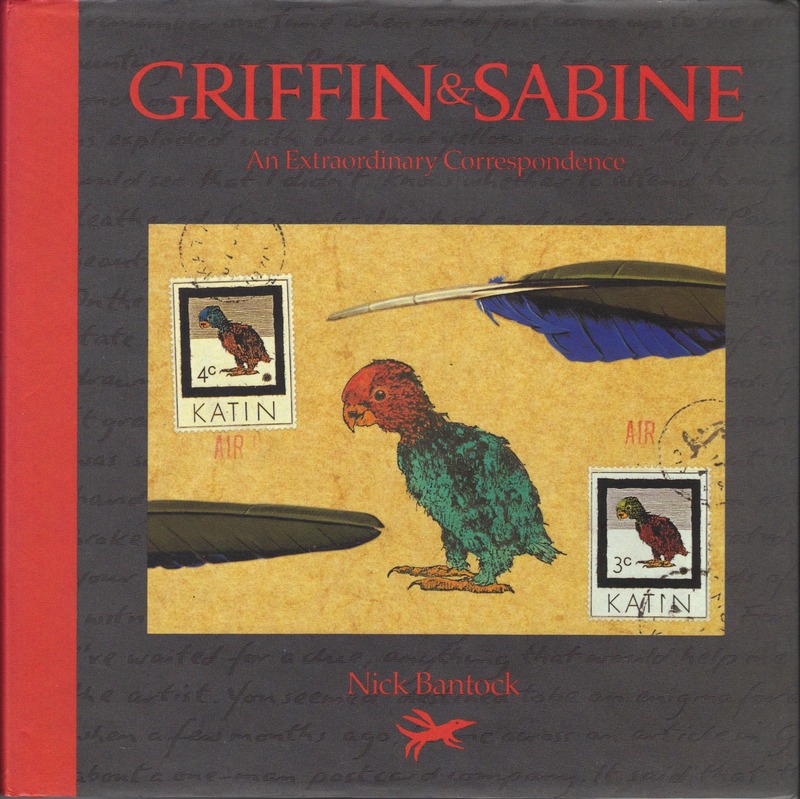 Griffin & Sabine is like no other illustrated novel: appealing to the poet and artist in everyone and sure to inspire a renaissance in the fine art of letter-writing, it tells an extraordinary story in an extraordinary way. With that said, I should probably begin this review by saying that Nick Bantock’s book isn’t for everyone. If you’re the type who prefers their books to have a clear plot and narrative, Griffin & Sabine is unfortunately not for you. However, if you’re up for an unconventional form of storytelling, and have an appreciation for art, then you should give this book a try. I know I don’t regret it. Also as the title suggests, yes, it’s a romance. Yet it’s so typical of me to finally read a romance “novel” that isn’t truly a romance novel. I haven’t encountered any books like this one before, so its peculiar format instantly caught my eye. An epistolary novel, the story unfolds (literally) before the readers’ (viewers?) eyes as a series of postcards and removable letters. Without giving too much away, Griffin and Sabine: An Extraordinary Correspondence, is exactly what it sounds like. Griffin, a postcard designer from London, has his life turned upside down after a cryptic postcard from Sabine Strohem, a woman he has never met. Claiming to be from the Sicmon Islands, Sabine adds a splash of colour and intrigue to Griffin’s grey and dreary existence. So of course they begin to correspond regularly, leading the two to ultimately fall for one another. I can honestly say I was thinking the same thing. With all that said, the world has changed since then. This book was published in September of 1991. Now we live in a time of emails, texts messages, instant chat and tweets. Ultimately leaving one to wonder how a book in this format would be received if it were written today. Seriously, when’s the last time you handwrote a letter? This entry was posted in 2013, Reviews, Uncategorized and tagged Book Blog, book review, Contemporary, Dreaming With Ink, letters, Mandy, Nick Bantock, Paranormal, postcards, review, Romance by dreamingwithink. Bookmark the permalink.